This suggestion was given to me by my cousin who recently saw her kids off to college. 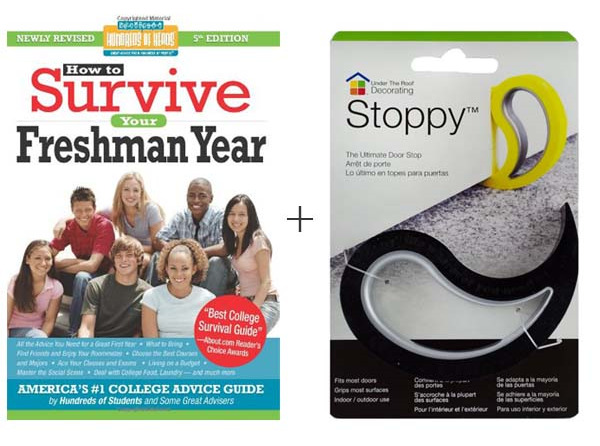 The book is How to Survive Your Freshman Year by Mark W Bernstein and Yadin Kaufmann. 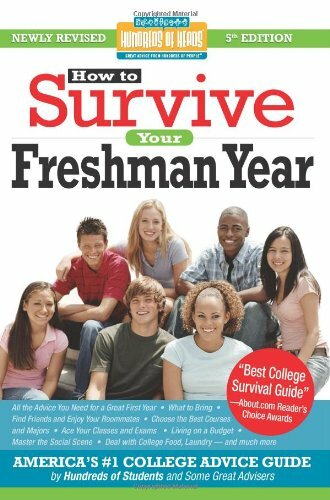 It includes information about all aspects of college life as informed by interviews with hundreds of college students. I wish this was around when I went to college! My cousin also recommended giving a doorstop. Each of her kids were given a doorstop and were glad they had one - it allows the student to keep their dorm room door open so they can be social and meet people. Thinking back, I'm not sure how we kept our doors open and I know they were! 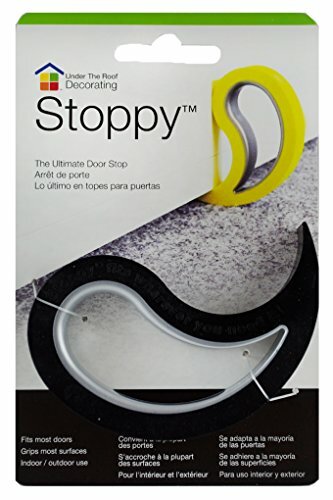 Any doorstop would work, but if you're giving one as a gift, why not make it a fun one like this Stoppy. It comes in black, pink, and translucent. This makes a thoughtful gift on its own, but if you're looking to give a little more, college students always appreciate cash!